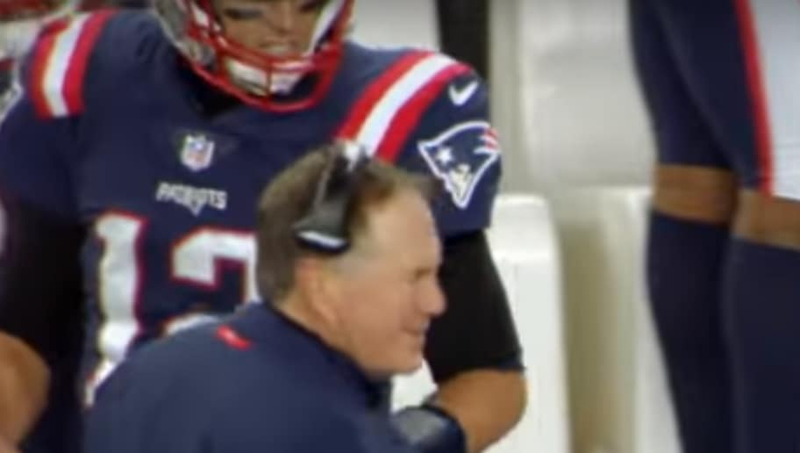 Bill Belichick was mic'd up in the huge matchup between the Green Bay Packers and New England Patriots, and the result was simply amazing. Belichick was tough at times, but hilarious at others, including when the Pats sealed their victory with a touchdown pass to Josh Gordon down the sideline. As quarterback Tom Brady walked back to the sideline, Bill trolled the veteran with a question all of us at home were asking ourselves. "Who were you throwing that to?" Belichick sarcastically asked Brady once he returned to the sidelines. The previous play had seen Tom throw a ball that connected with Josh Gordon, but sailed quite close to receiver Julian Edelman, who reached up thinking the pass was meant for him. Belichick, being the ever omniscient coach that he is, caught the mix-up and hilariously decided to joke around with his QB of nearly two decades on the sideline. Brady confirmed that the pass was indeed to Gordon. Aaron Rodgers: "You're the best." Bill Belichick: "No, you are." Getting Belichick mic'd up was an absolutely ingenious idea for Sunday night's matchup. Everyone should be satisfied with getting some more insight into one of the most private figures in the NFL.